Caravan Guard have been added to the well known consumer website SAYNOTO0870’s “Hall of Fame”, thanks to our commitment to provide the best value telephone numbers for our customers to use. 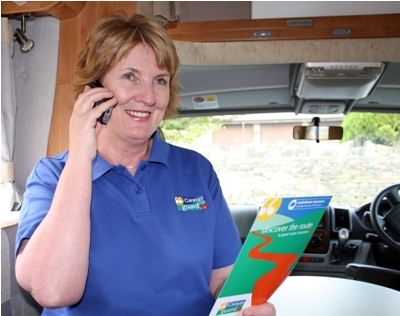 Caravan Guard provide an 0800 number which is free to call from landlines, and an 01422 regional number which is normally cheaper from mobiles, across the whole of our website. The new telephone numbers also feature in all our printed advertising and newly printed insurance documents. It’s just one of the ways we are showing our commitment to Award Winning customer service, and to be praised by a well known pro-consumer website such as SAYNOTO0870.com is very welcome indeed. You can see our entry in the “Hall of Fame” here. As of 1 July 2015 calls to 0800 and 0808 numbers are free from mobile phones as well as from landlines. Thanks Ian, that article is from a few years back. We are currently reviewing this strategy and in the meantime we continue to publish both 0800 and 01422 numbers on most of our marketing material.